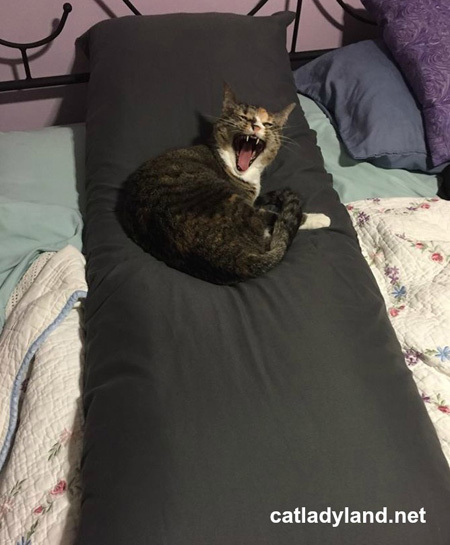 So I bought this cozy new body pillow. Really -- if you've never tried sleeping with one, you're missing out. Phoebe didn't want to miss out and immediately occupied it. Oh, and now I can't get it away from her. She must think "body pillow" means she's supposed to plop her whole body right on top of it. She'd be way better off with a body pillow her own size, but wouldn't be any fun, now would it? I'm used to her stealing my pillow, but this is kind of ridiculous.